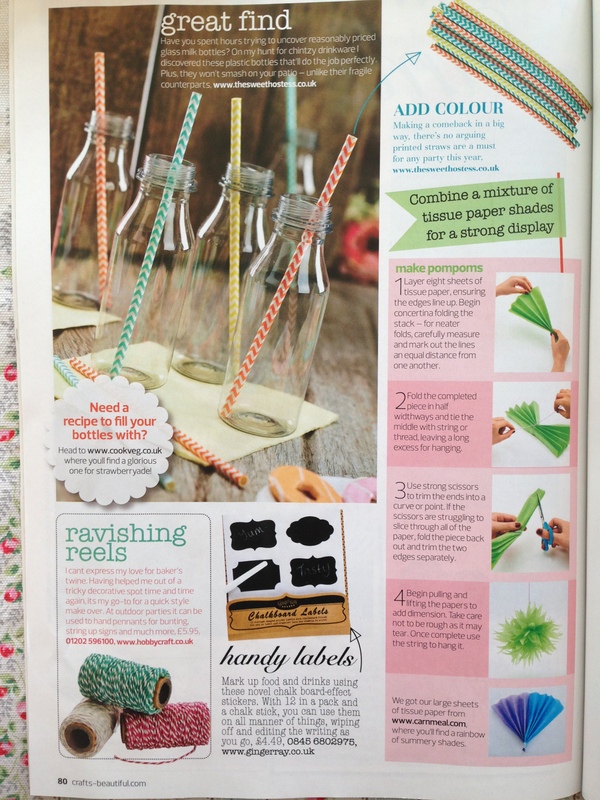 We are so happy to be featured in Issue 66 edition of PaperCrafter magazine. 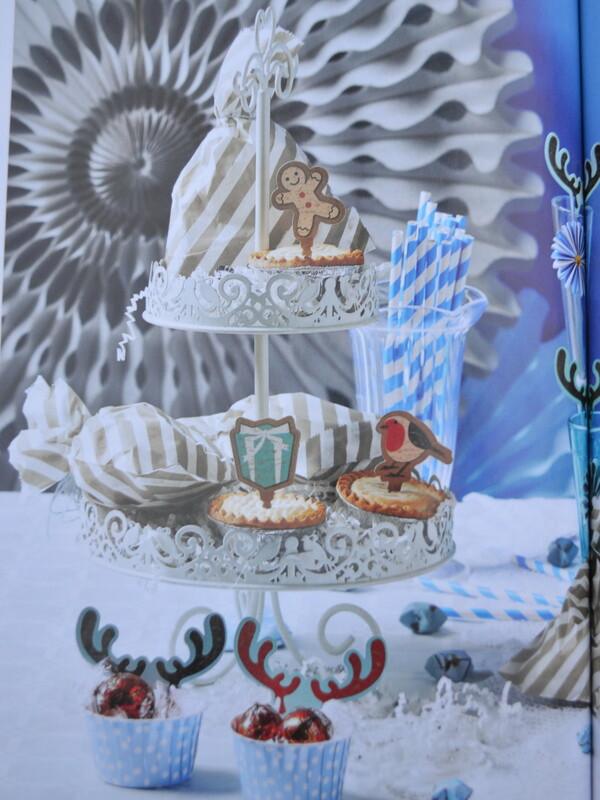 We were asked to provide some blue, white and grey products for a vintage sweet inspired Christmas table. 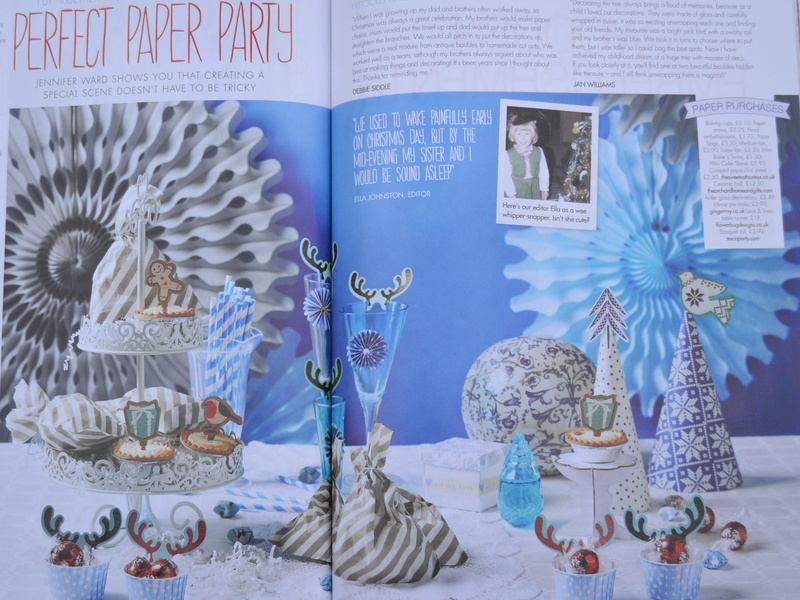 The ‘Perfect Paper Party’ was inspired by a cool and frosty colour scheme. I love the results, what do you think? We provided polka dot baking cups, paper straws, floral embellishments, paper bags, bakers twine, mini cardboard cake stands, bakers twine, crimped paper shred and our tissue fans. 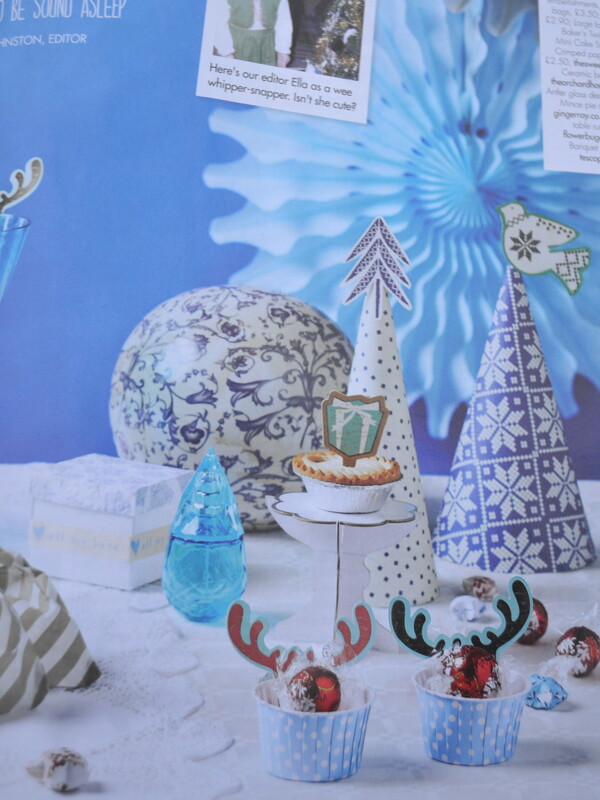 PaperCrafter also asked us to provide some tips and tricks on how to create the perfect vintage inspired spread at home. In case you missed it, here is what we recommend! ♥ Stick to a colour theme and streamline the decorations to give a sense of consistency. ♥ If your creating a vintage feel it can be difficult to achieve a uniformed colour scheme, but that is part of the style! I’ll often display old crockery and service pieces alongside newly-sourced bits. ♥ Is your spread missing something? When in doubt, add flowers. You will be surprised at how they can really finish off a table and they compliment a vintage theme perfectly. ♥ Try using old family recipes that evoke warm and happy memories. It will give you and your guests something to chat and reminisce about. 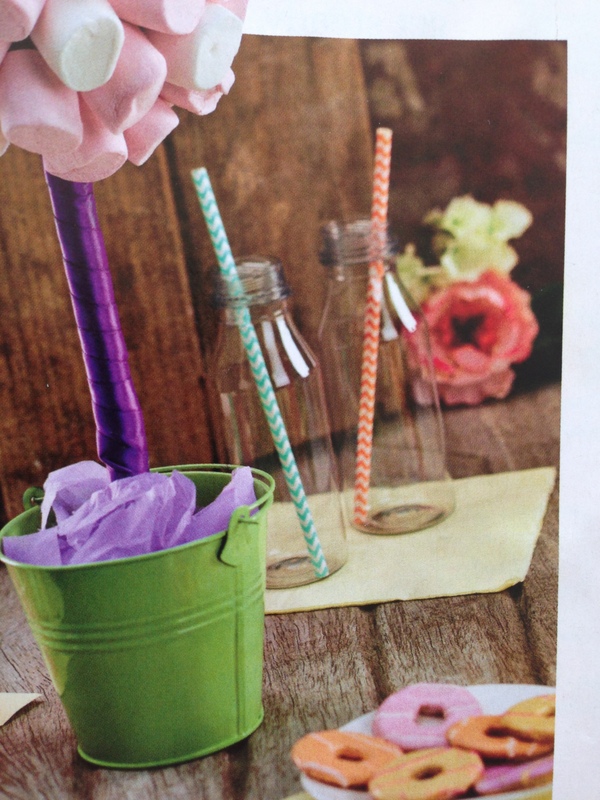 Did you see us in Homemaker Magazine? Hello! 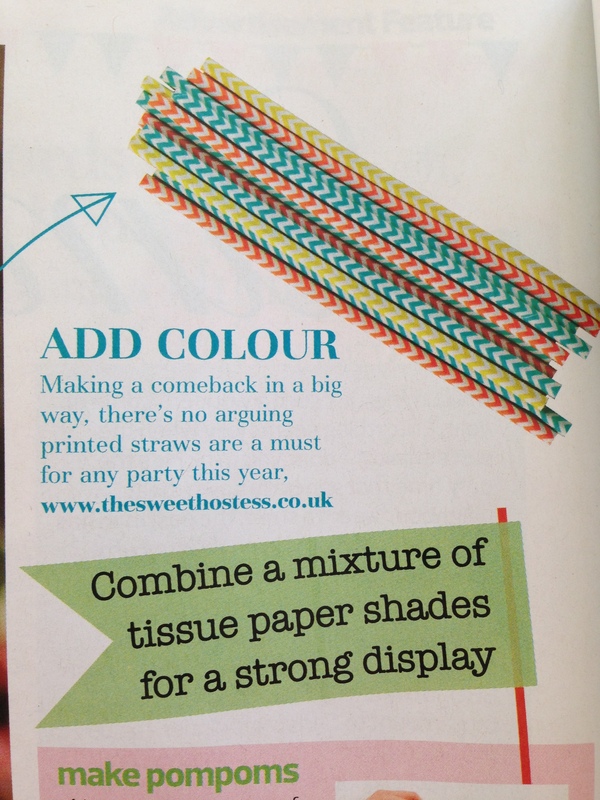 Did you see us in Homemaker magazine last month? 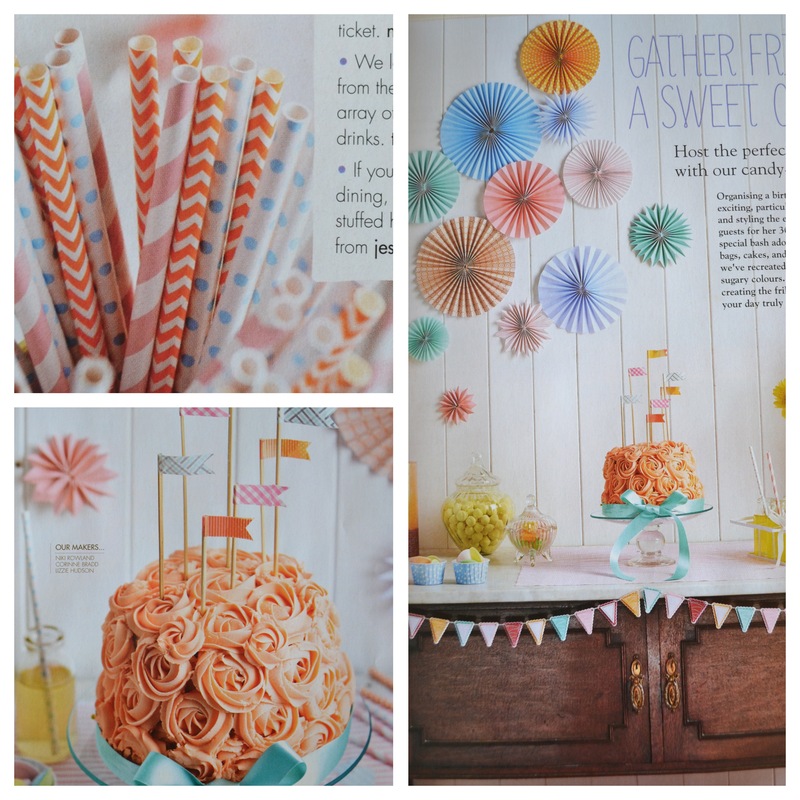 We were so happy to be featured in ‘Gather Friends for a Sweet Occasion’. I have been a BIG fan of Homemaker magazine for sometime so was chuffed to bits to mentioned. 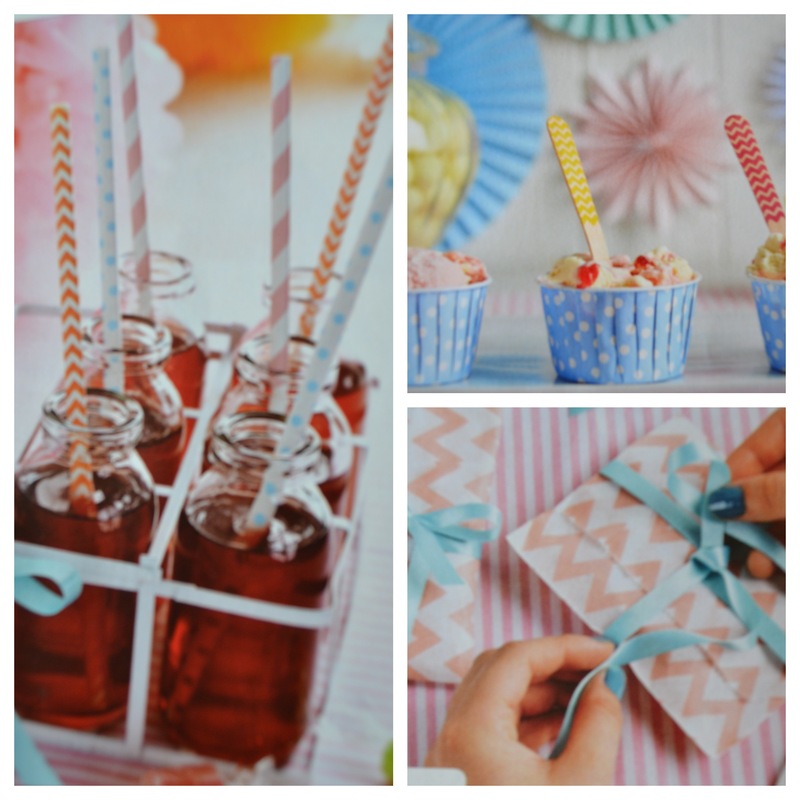 Some of our products to be featured were our paper straws, baking cups and candy bags. I love the colour combination and something I would have never thought of myself; blues, apricots, pinks and teal. 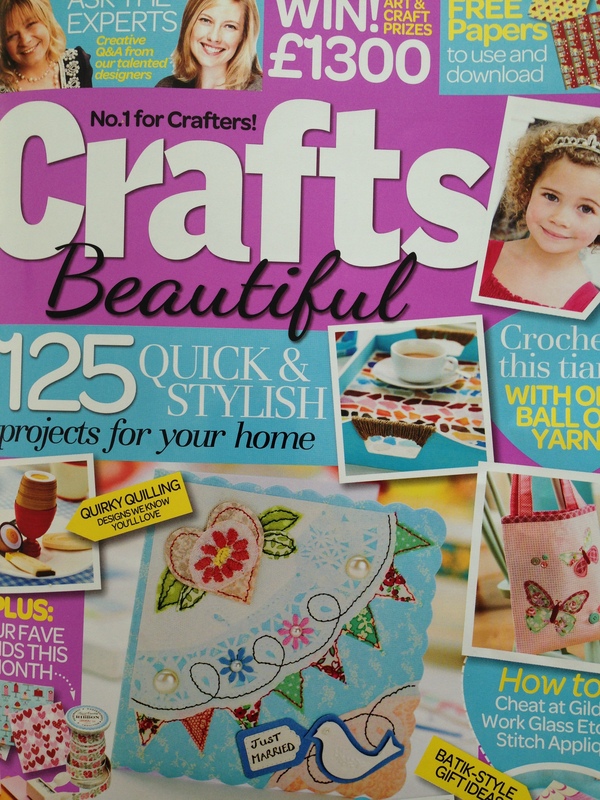 We are in Crafts Beautiful this month! 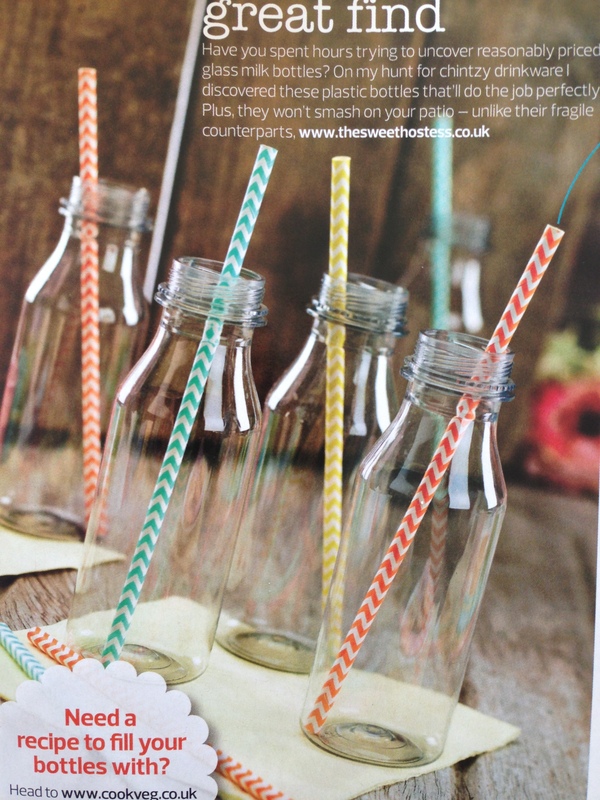 Our orange, yellow and aqua chevron patterned paper straws were featured as well as our mini plastic drink bottles. Some of our products will also be featured in a cook book which is currently in production and TOP SECRET! 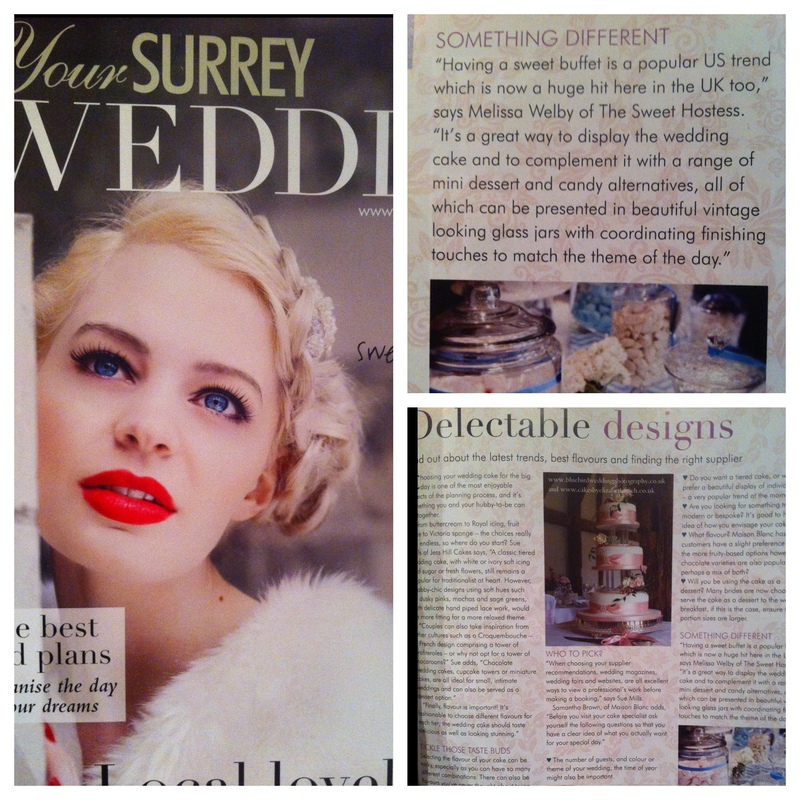 We were lucky enough to be featured in the December / January edition of ‘Your Surrey Wedding‘ and what an amazing magazine to be featured in! The article ‘Sweet Inspiration ~ Delectable cake designs’ showcased some amazing cakes and desserts by some truly talented people. We were commenting on the new trend of dessert tables. I am in love with the front cover too!